It's cold outside. It's cold inside because I refuse to get another $300 heating bill. I'm cold, grumpy, and not happy that we're getting more snow tonight. So instead of being a productive member of society, today I am feasting my eyes on warm beach scenes, particularly this one from our trip to the Outer Banks in August. Either it'll put me in a better mood, or it'll make me curse the weather even more. Either way, at least all my griping might warm me up. 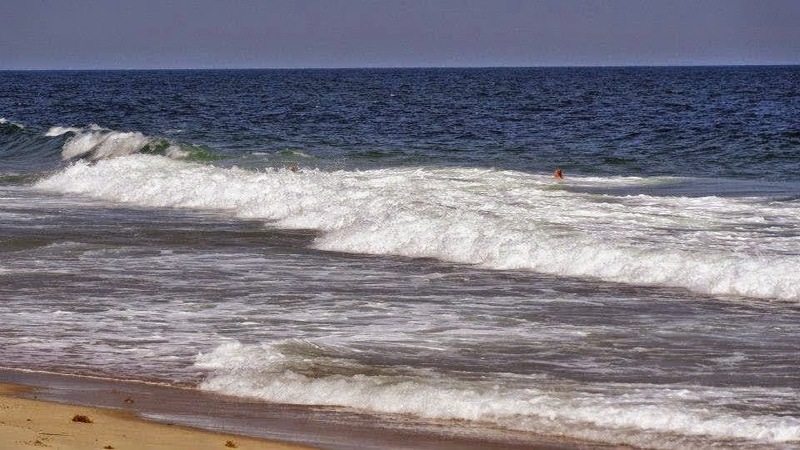 The Thrifty Gypsy's Travels ~ Wave Jumping & Beach Bumming in OBX: With only ten paid vacation days in a year, our vacations tend to resemble a gauntlet of things to do and see rather than a time to unplug... (continue reading here). Yeah having 10 paid days a year is not the best, but at least you got to take a weekend at the beach!